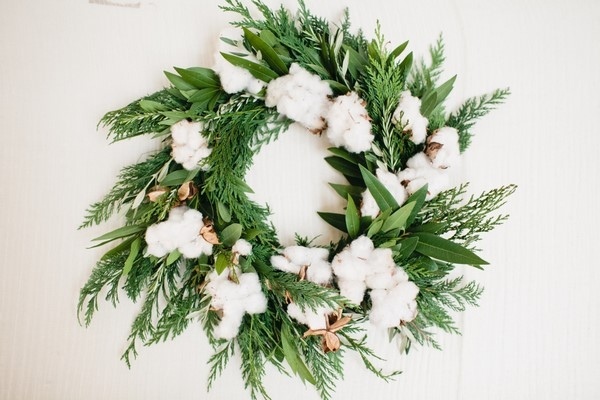 How to make wreath with cotton? 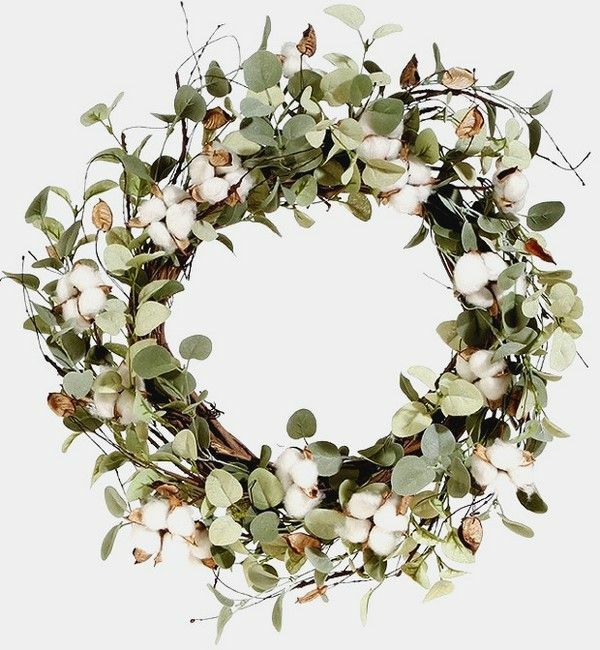 There has been a trend to use cotton for winter themed and Christmas wreaths, but this material can be used in the decor for any season. 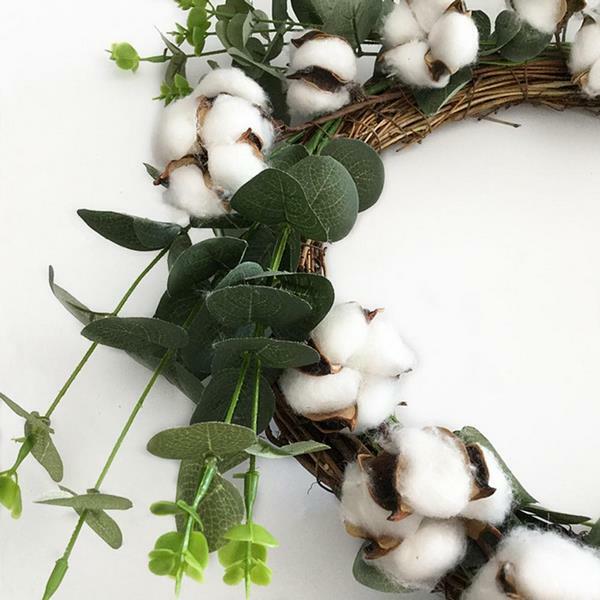 One of the main reasons for the growing popularity of this type of decor is the appearance of cheap artificial buds on the market yet natural cotton is a great alternative for craft lovers and fans of natural materials. 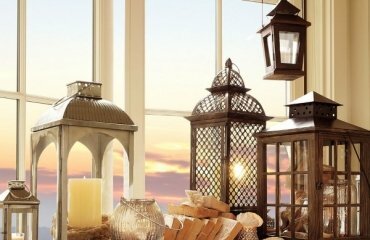 Typically, the demand for stems rises in the autumn-winter season, because this material is ideal as an embellishment of winter decorations. The white buds combine in a great way with dry twigs, evergreens, cones and other natural materials. 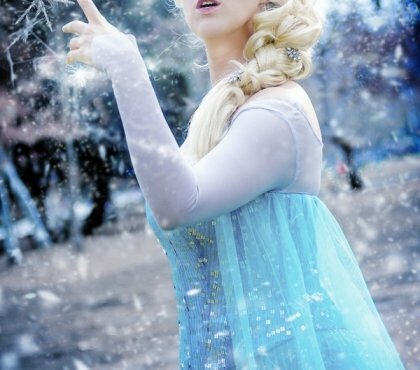 On the other hand, it is soft and fluffy, and makes you think of warmth and comfort. 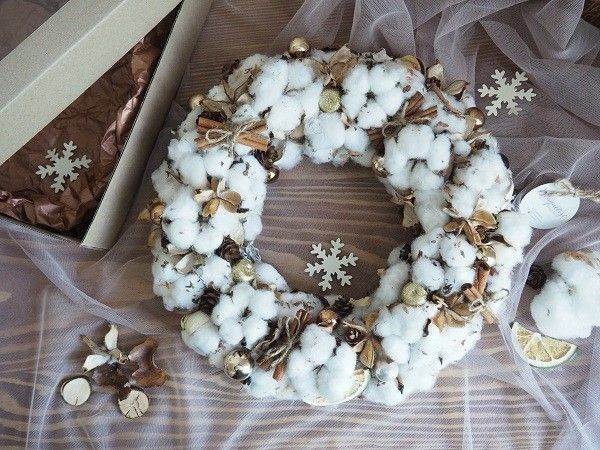 The unique combination of cold and warm makes cotton a very interesting material for a variety of DIY projects and we have selected some great wreath ideas for the holiday season and not only. 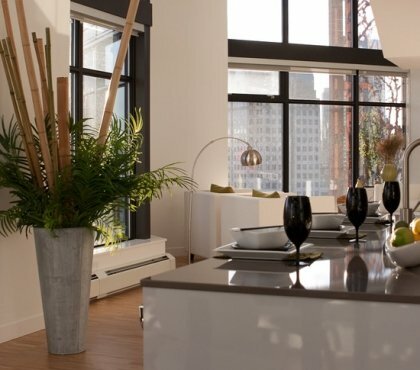 A person who is not familiar with this plant can easily take faux stems for natural. 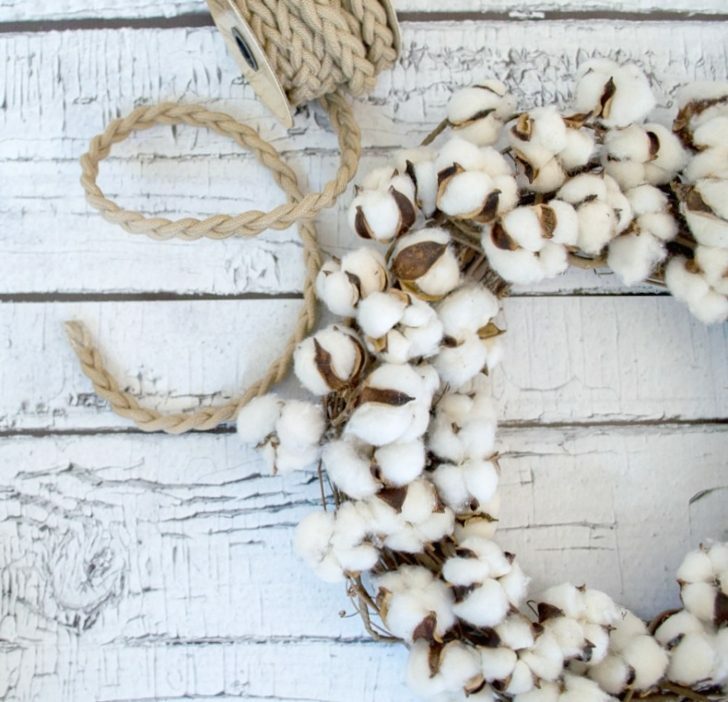 How to distinguish artificial and natural cotton? This is a very reasonable question, especially if you plan to make your own decorations for the holidays. 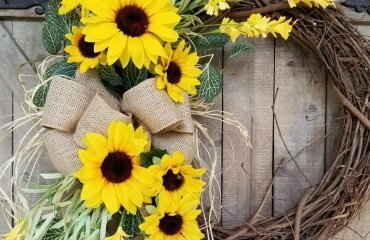 You can find stems at flower shops as florists start ordering it from the end of August until November and, despite the fact that this material does not deteriorate, in December or January it may be difficult to find as everything is used for Christmas decorations. When you buy branches pay attention to the stems. Faux stems look like a cardboard on a wire basis, wrapped with brown paper and cotton bolls are attached to them with wire. Obviously, the price is a good indicator whether the branches are real. It is true, natural stems can be difficult to find, and as a budget friendly option you can opt for faux cotton stems. You can even make them by yourself! 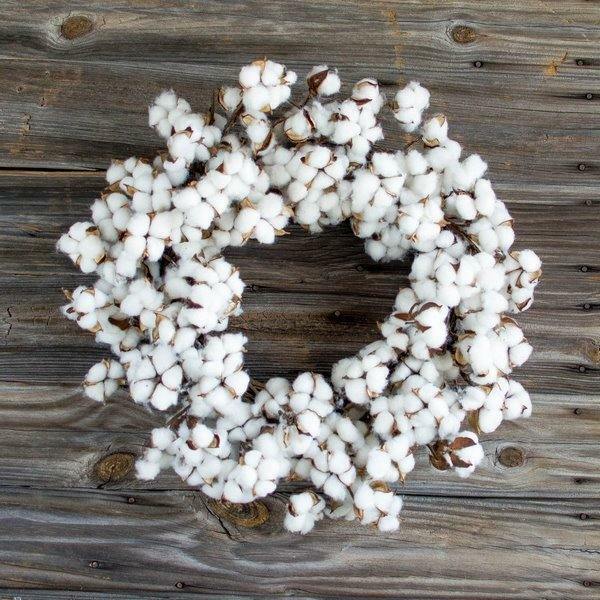 Cotton stems can be used in various DIY home decoration projects – wreaths, bouquets and other flower arrangements. You can buy them or spend an hour in making them. All you need are branches that you can gather in your own backyard or when you stroll in the park and some cotton balls. It depends entirely on you how many balls you will place on each stem and you need to decide how many stems you need for your bouquet or wreath project. 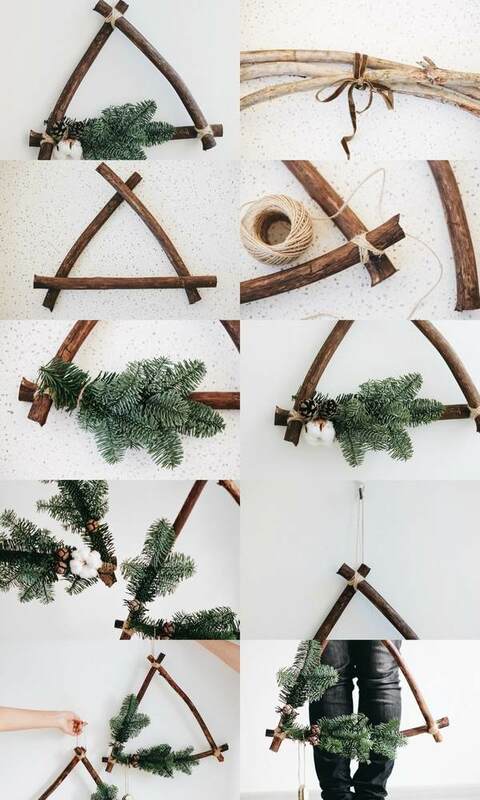 Trim the branches to give them a more authentic look and give them the desired length. Pull the individual pieces from the pine cone starting from the bottom with the help of pliers. It is recommended to use protective gloves. Apply a dollop of glue to the middle of a ball and fix it on the branch. Apply hot glue to the outside of the pine cone scales and arrange them like flower petals around the cotton ball. Make sure you place them at the base where the ball meets the branch. Repeat until you have filled all the individual branches. You can add as many cotton balls as you wish and your stems are ready to be used in your next project. Step 1 – Clean the pine branches from the bark, take the brush and soak them with wood impregnation paint. You can choose the color of the paint that you like. Let dry overnight. Step 2 – When the impregnation paint is completely dry, take the twine and pair the ends of the branches. Make sure you tie them crosswise, so that they do not move. 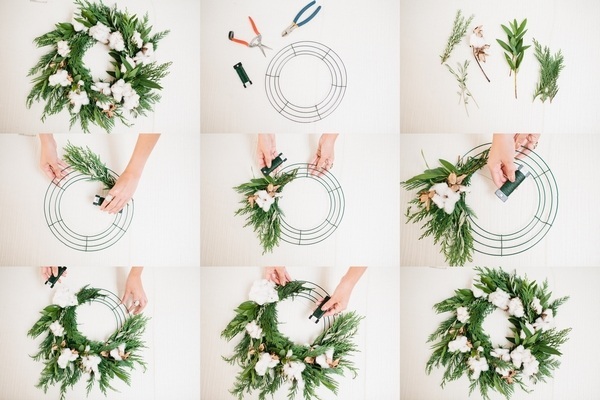 Step 3 – Decorating the wreath. Fix the spruce or pine branches. You can choose any other evergreen that you like. Experiment with the location and number of branches. 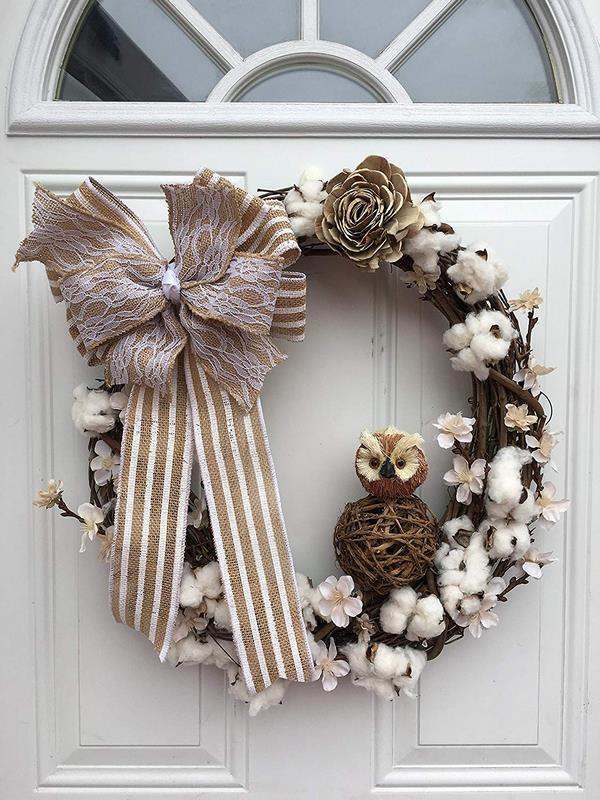 They can be attached to the wreath with the help of twine or wire. You can place it at the corners, at the center of the triangle or add more branches and distribute them on each corner of the triangle. 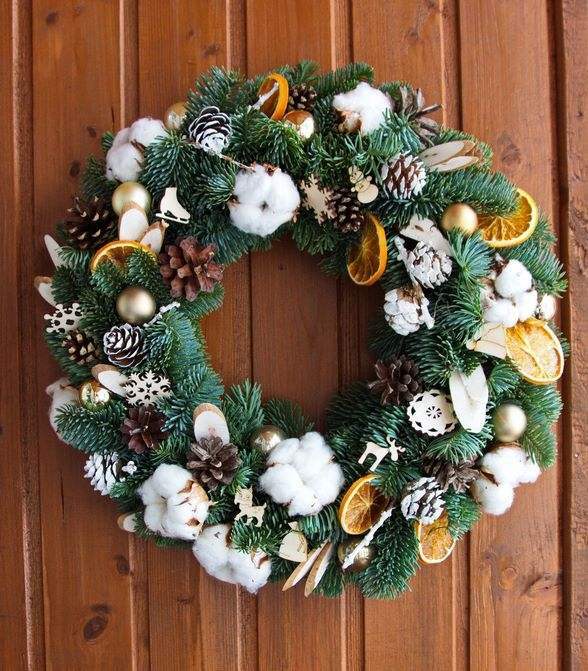 Step 4 – Use the hot glue gun and fix the pine cones and cotton balls. 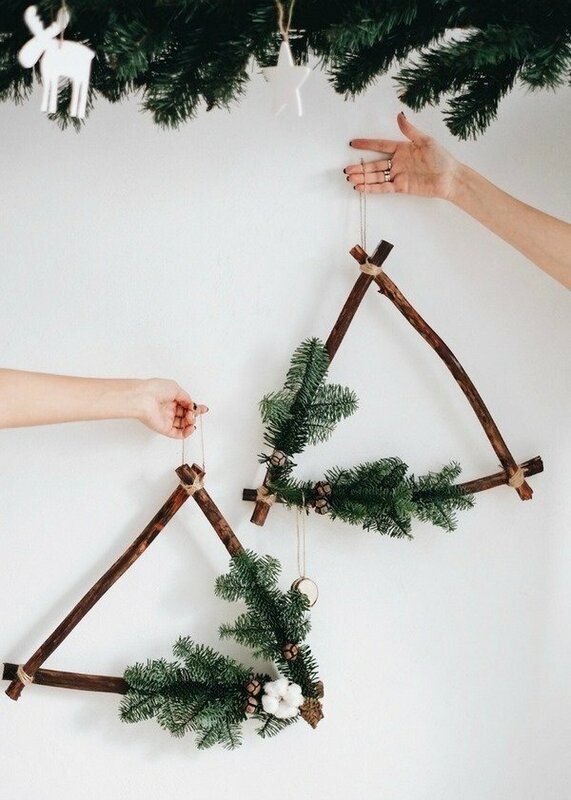 Step 5 – Make a loop for hanging and your triangular Christmas wreath with cotton is ready. Step 1 – Cut all the fresh greenery and arrange in piles of each type. Wrap the wire around the wire wreath form, securing it to it doesn’t slide off. Gather together one or two pieces of each type of greenery and layer them together. 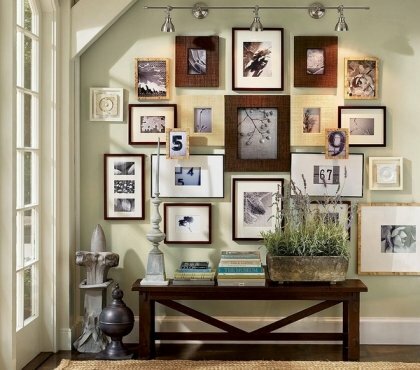 Use pieces with different lengths and place the cluster on the wire form. Wrap the paddle wire around the ends of the greenery to make sure they are fixed and will stay in place. Step 2 – Place another cluster of foliage. Add a stem to the cluster. Use the paddle wire and continue wrapping around, working your way down as you add each new cluster of greenery. Step 3 – Continue adding clusters of greenery and a piece or two of cotton to each section as you wrap the paddle wire around each piece, making sure the wire is tight. When you get to the last cluster, place it on top of the wire form and tuck the ends of the foliage underneath the very first cluster you started with. Wrap the wire around it and try hiding it as much as possible. Tie off the wire at the back of the wreath by twisting the end on the wreath form. Step 4 – Cut off any stems that are showing and adjust the greenery and cotton. 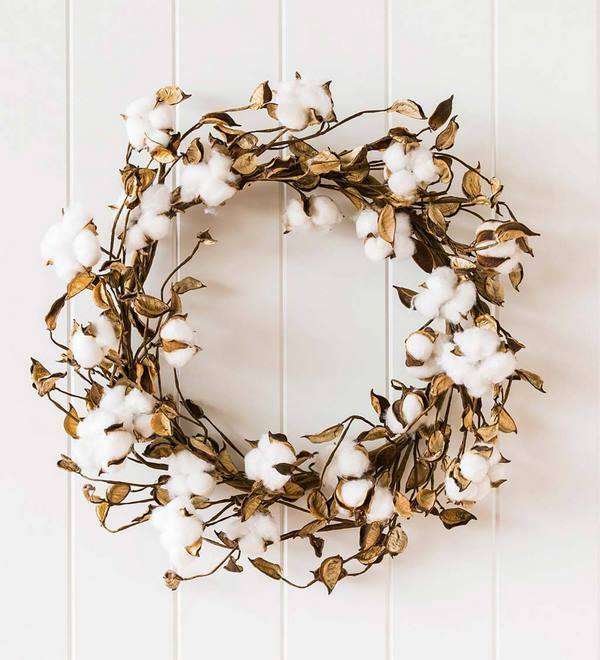 Your festive wreath is ready to be hung. 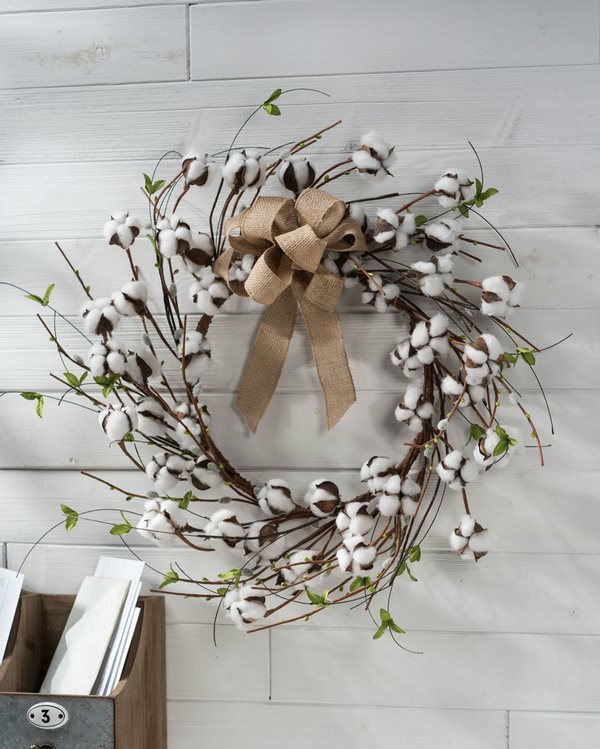 You can mist it every day to make sure your wreath with fresh greenery last as long as possible. Step 1 – Use wire cutters to clip several bolls from the stem, leaving the base intact. 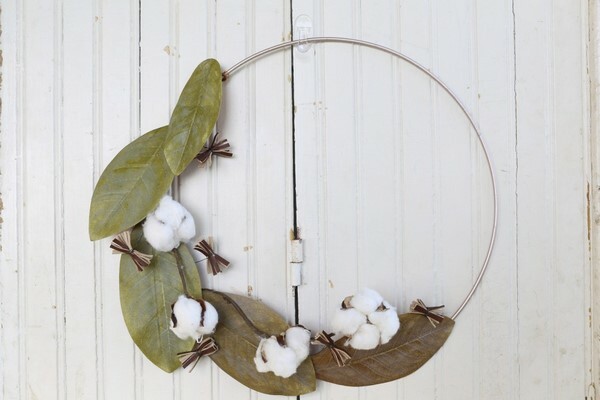 Step 2 – Use a hot glue gun to carefully glue each cotton boll individually to the wreath form. 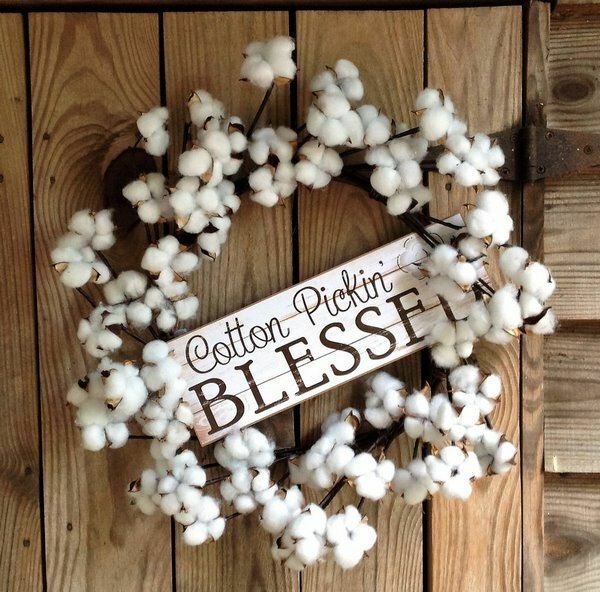 Repeat until wreath is covered. Mix in a variety of sizes and shapes. 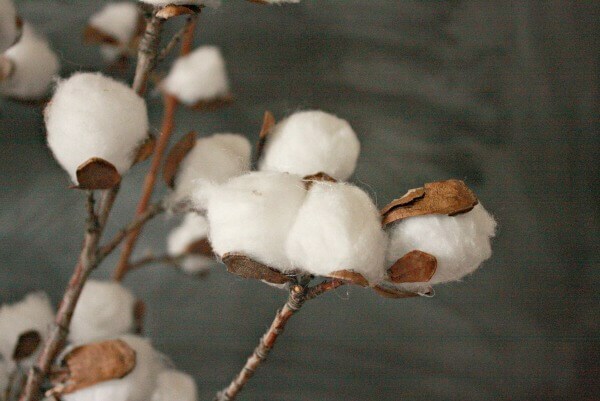 Step 3 – Fluff the cotton and fill in gaps with empty cotton pods for extra texture and authentic appearance. Step 4: Hang with a beautiful burlap ribbon. Step 1 – Spray the metal hoop with the bronze spray paint and allow to dry. Step 2 – Pull apart the magnolia leaf pick so that the leaves are separated. 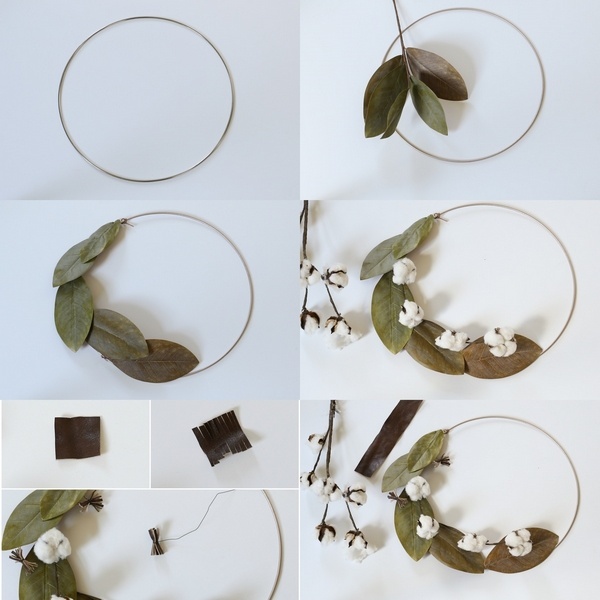 Place one magnolia leaf on top of the metal ring and wrap the wire around the hoop. Add more leaves wrapping the wire so they are tight around the hoop. 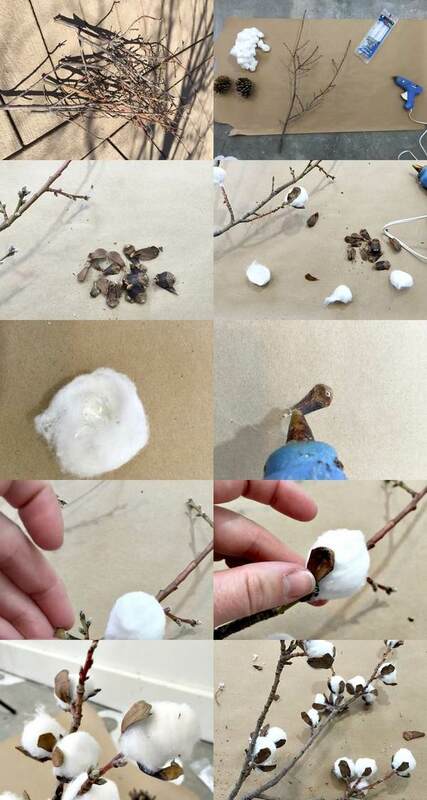 Step 3 – Pull off 2 or 3 cotton stems at a time. Place them on the wreath and wrap around the metal hoop to secure. 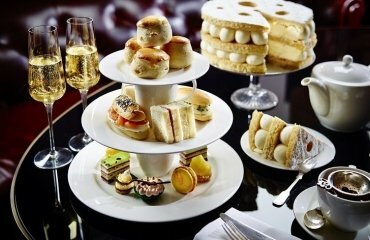 You can add as many cotton bolls as you like. Step 4 – Add leather accents. Cut a 1.5 inch square of leather and fringe by cutting small cuts along both sides, leaving a very small space in the center. Roll the square and secure with a piece of floral wire, leaving a long stem of wire. Place on wreath and wrap the end of the wire around the hoop. 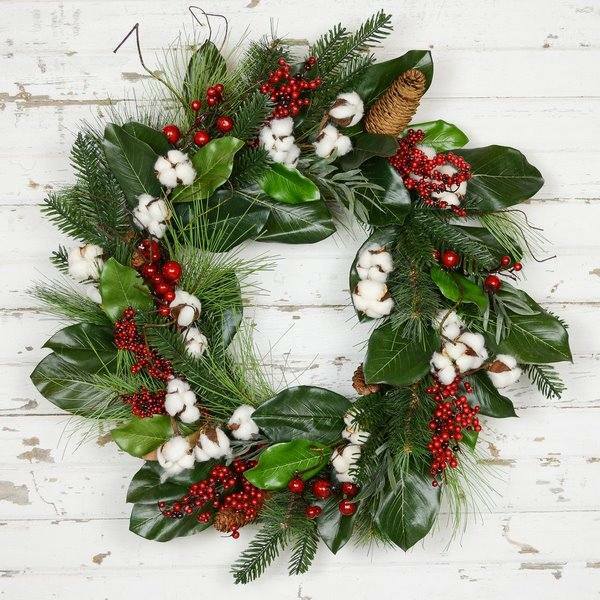 Step 5 – Tuck wires as much as possible behind the large magnolia leaves and your wreath is ready to be hung. 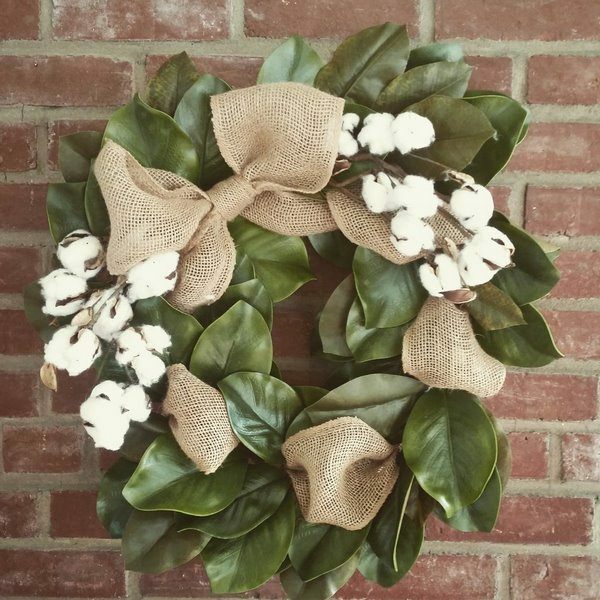 If you want a richer wreath, you can use a grapevine wreath and attach magnolia stems with several leaves. Then add cotton bolls. 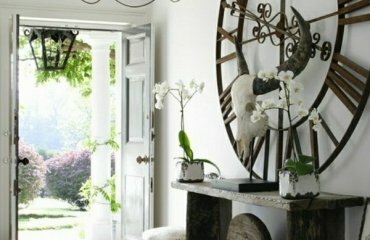 Optionally, you could use any other type of faux greenery.